Even on the weekend, leaks of the Pixel 3 and Pixel 3 XL have not stopped coming through, and it looks like we will continue seeing information like this consistently before the actual launch that is going to be taking place next month. Sadly, lots of people who believed that Google might be trolling its loyal phalanx of customers who wanted a grab a premium stock-Android-running smartphone as soon as it launches might be disappointed with what the company has to offer. That’s because the latest render has been shared by a very well-known leakster. Needless to say, whatever design leaks we have seen in the past, we will probably be getting that exact same product during the official announcement. Evan Blass has been on-point when it comes to leaking the design of previously launched smartphones and it looks like the Pixel 3 and Pixel 3 XL are not going to be any different here. 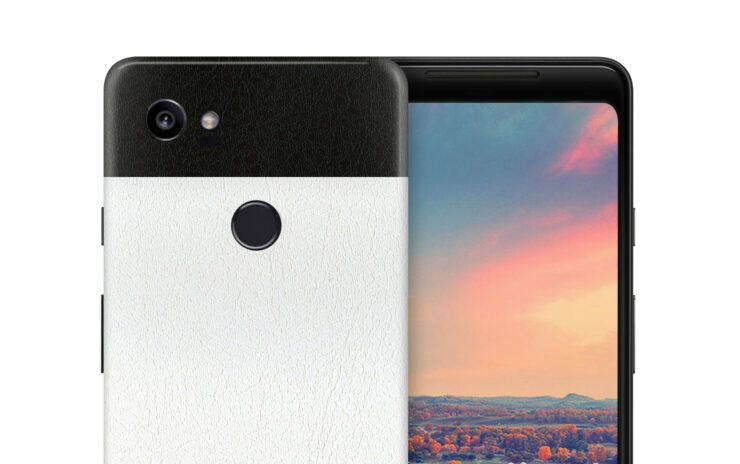 In the image given below, you can see that both smartphones feature a dual-front-facing camera, along with two speaker grill cutouts at the top and bottom. We hope that Google has incorporated Stereo speakers in order to deliver a more refined audio experience, but we are really interested to see how that front dual-camera will function. If Google has its own custom facial recognition tool for us that can rival Face ID, that will be a start towards somewhat better things for the company’s mobile division. Additionally, the design of these devices has also been consistent in the past. 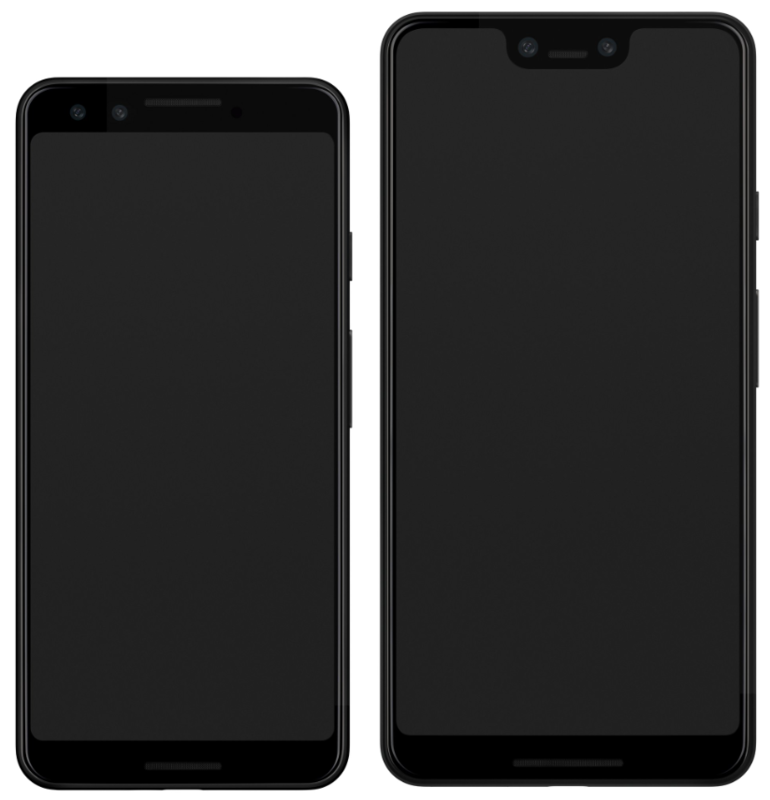 The Pixel 3 sports a taller display with no notch at the top, while the Pixel 3 XL gets that unbelievably wide notch. Also, both smartphones are going to be running nearly the same specifications, so unless you want to experience better battery life with the Pixel 3 XL thanks to its larger size, we honestly suggest going for the Pixel 3. The specifications that we know so far that remain consistent to both smartphones is a Snapdragon 845, 4GB of RAM, 64GB of internal memory, no headphone jack, a single 12MP rear camera followed by a dual 8.1MP front camera system and an OLED screen. If there is anything that you feel might be exactly the same when it comes to both these smartphones, do let us know down in the comments.